The Mandra–Poda Complex includes Mandra Lake with its adjacent wetlands. Mandra Lake is located at the Black Sea coast and is the southernmost of the Burgas lakes. Its north-eastern part touches on the town of Burgas. This former semi-saline lake has been turned into a freshwater reservoir. A lagoon, covering the areas of Poda and Uzungeren, has been preserved between the reservoir wall and the Black Sea. Shallow marine area of Foros bay is part of the complex as well. The complex includes also the cascade-like located fishponds in the north-western part of the lake valley, south of the village of Cherni Vruh. The main habitat in the complex is the lake itself, with its considerable open water area (about 1,300 ha), standing water and sections covered by hygrophyte vegetation along the banks. On its southern bank there are forests of Quercus pedunculiflora, Quercus robur and Acer campestrе. The lake is surrounded by mesophile meadows, where the prevailing plants are Festuca pratensis, Poa sylvicola, etc., halophyte grasslands, dominated by Puccinellia convoluta, shrubs of Paliurus spina-christi and farmland. The Poda lagoon is overgrown with marsh hygrophyte vegetation. Most of it is occupied by reedbeds of Phragmites australis and Typha sp., at places mixed with Artemisia santonicum, Juncus maritimus and Bolboschoenus maritimus. The shallow saline pools are overgrown with Salicornia europea, and the sand strip at the sea front – with Leymus racemosus subsp. sabulosus, Gypsophilla trichotoma, etc. 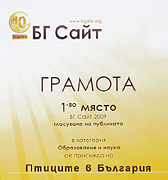 (Bondev 1991; Marinov in prep.). The area of Uzungeren is a bay, projecting deeply inland, with shores covered mostly by reed and reed mace and a small section of oak woods. 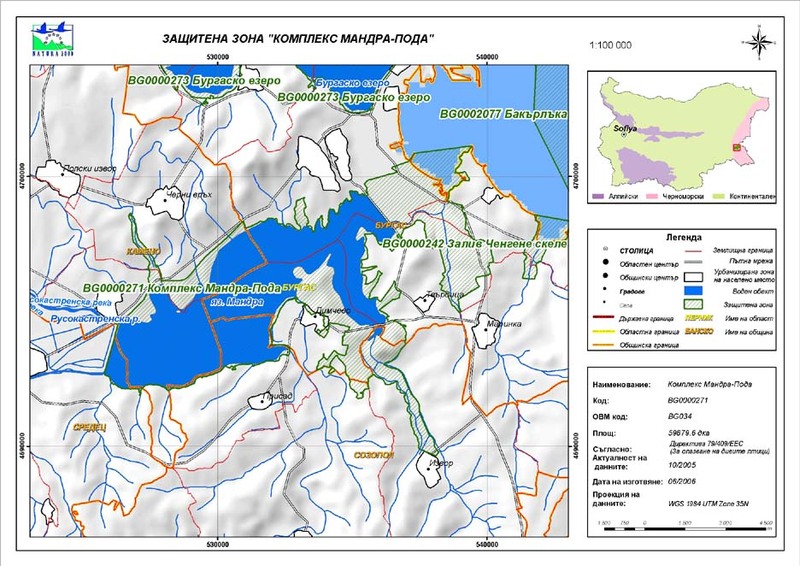 The Mandra-Poda complex is a part of Burgas lake complex, which is one of the three most significant wetland complexes for congregations of waterfowl along the Bulgarian Black Sea coast. 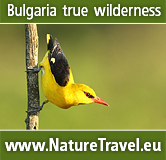 The region of the complex supports 254 bird species, 74 of which are listed in the Red Data Book for Bulgaria (1985). 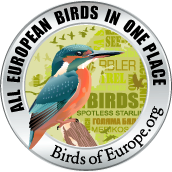 Of the birds occurring there 109 species are of European conservation concern (SPEC) (BirdLife International, 2004), 12 of them being listed in category SPEC 1 as globally threatened, 24 in SPEC 2 and 73 in SPEC 3 as species threatened in Europe. The area provides suitable habitats for 86 species, included in Annex 2 of the Biodiversity Act, which need special conservation measures, of which 83 are listed also in Annex I of the Birds Directive. The Mandra–Poda complex is of international importance for the breeding Spoonbill Platalea leucorodia and Avocet Recurvirostra avosetta, Poda being the only breeding area of the Spoonbill along the Black Sea coast (Yankov 1993). Until 1940 Mandra Lake has hosted the last breeding colony of the White Pelican Pelecanus onocrotalus in Bulgaria. Its disappearance is probably due to the transformation of the lake into a reservoir and the flooding of its western part, which has destroyed the huge reedbeds there. The Complex is one of the three places along the Black Sea Coast where the White-tailed Eagle Haliaeetus albicilla breeds. The lake is a part of a bottleneck migration site for the Dalmatian Pelican Pelecanus crispus and the White Pelican, the White Stork Сiconia ciconia and the Black Stork C. nigra, as well as for the birds of prey that use the Via Pontica migration flyway. The exceptionally rare and globally threatened Slender-billed Curlew Numenius tenuirostris has been established there on migration. The globally threatened Pygmy Cormorant Phalacrocorax pygmeus, Dalmatian Pelican and Ferruginous Duck Aythya nyroca regularly use the lake both as a roost during migration and as wintering grounds and concentrate there in numbers with international significance. Mainly on migration, the territory of the complex also hosts Lesser Kestrel Falco naumanni and the Corncrake Crex crex. The complex has international importance for the regular wintering of up to 69,000 waterfowl of 82 species. The concentrations of Cormorant P. carbo, Great Egret Egretta alba, Whooper Swan Cygnus cygnus, White-fronted Goose Anser albifrons, Pochard Aythya ferina, Tufted Duck Aythya fuligula and the globally threatened Red-breasted Goose Branta ruficollis and White-headed Duck Oxyura leucocephala are of special value. Mandra Lake is a main feeding place for the two pelican species on migration and in winter, although the birds prefer to spend the night in the neighbouring Burgas and Atanasovsko lakes. The Mandra-Poda complex is situated in the suburbs of the second big city along the Black Sea coast – Burgas. The lake complex is under great anthropogenic pressure because of the vicinity of the densely populated city, the big industrial facilities and the uncontrolled access outside the protected areas. Continuing urbanization gradually destroys the wet grassland habitats around the lake. An international road to the south border of the country crosses the eastern part of the complex, causing significant waste and noise pollution, as well as being a hazard for small animals, including birds. Poaching is common in the area. The Mandra Lake is the main source of industrial waters for the oil refinery situated west from Burgas city. An oil pipeline passes through the complex, which could cause great damage to the wetland habitats and birds in the event of oil spills. There are investment projects for the construction of an international pipeline to Greece, which will cross the area, further increasing the threat of oil spill pollution. 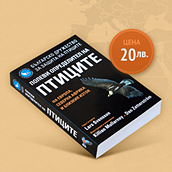 Recently there have been investments for development of wind turbine farms, which will cause enormous damage to migratory, wintering and breeding birds. So far 8% of the territory of Mandra-Poda complex is under protection according to the national nature conservation legislation. The three existing protected areas are designated to protect the threatened bird species. “Poda” Protected Area was designated in 1989, “The Izvorska river mouth” Protected Area in 1990 and “Uzungeren” Protected Area in 2005. There was a management plan adopted for the “Poda” Protected area. A Nature Conservation Center is built within the protected area by BSPB, which implement the management plan of the area. The “Poda” Protected Area together with the adjacent bay of Foros was designated as Wetland of International Importance under The Ramsar Convention in 2003. In 1989 the lake was designated as Important Bird Area by BirdLife International. In 1998 the area was appointed as CORINE Site because of its European value for rare and threatened bird species.